To be found is to exist on the internet. But with voice user interface (VUI) devices being purchased in the millions, does your brand have a presence on Amazon Echo and Google Home? The verdict is still out on whether Google Home or Amazon Echo won the battle for your home automation needs this holiday season, but the VUI device was undoubtedly the must-have gift this Christmas, with reports of both devices selling out across numerous online and physical stores around the world. If (in the highly likely event) you visited the Amazon website this Christmas you can’t have missed the eye-popping banners offering tempting discounts on Amazon Echo, which first went on sale in 2014. What’s your estimate on how many Echo units sold: 1 million? 10 million? My guess is that we could be looking at more than 10 million (consider that Amazon Echo sold more than 5 million devices in its first two years). So we know there are multiple millions of the devices in circulation, however in ‘internet years’, the VUI device is currently stuck in the equivalent of the late 1990s (approximately 1997) if you compare it with the internet adoption timeline. But, as we’ve learnt from the likes of mobile and the culture-defining iPhone, which recently celebrated its tenth birthday, things progress pretty quickly in our digital era. So the bottom line is that your brand can’t afford to be unavailable in people’s homes when Alexa, Cortana, and Siri are asking for you. The VUI movement provides the opportunity to connect with your customers in the unique home environment in an engaging but unobtrusive way – without the contention on the mobile screen or a search results page. Think of Google Home as a new, interactive Google search, and Echo as the Amazon search bar brought to life. Companies specialising in service delivery – utilities, telcos, or banking, for example – have a potentially very personable way to engage with customers in the privacy of the home. Publishers and media organisations have new opportunities to reach audiences across the all-important windows of morning, evening, and weekend. The winners will be those who move quickly to structure their content in the most flexible way to serve these new devices. Online retailers have a means to offer customers simplified journeys where products can be sourced and purchased from virtual assistants using voice alone. Software companies have the opportunity to provide online services and tools that enable brands to build deeper relationships with their customers by better understanding the experiences they need to be delivering on VUI devices. The first step for brands looking to integrate services that offer real utility to Amazon Echo and Google Home users is to consider how and why users will want to connect with your brand. As with any device, your services will need to be optimised for the platform – something akin to SEO – and you’ll need to develop an appreciation of the unique behaviours and expectations within a home environment. The absolute first step in getting started is to get your brand an invocation name. To register Invocation Names on Google Home or on Alexa you need to actually launch a product. We recommend considering the simplest use case for your business service to cater to – and get building. An invocation name is at the heart of the user journey on VUI devices such as Google Home and Amazon Echo. Users say an invocation name to begin interacting with a particular custom ‘skill’ (Amazon’s terminology) or ‘action phrase’ (Google’s terminology). Amazon uses the example of ‘Daily Horoscopes’ as an invocation name, in a scenario where a user says: ‘Alexa, ask Daily Horoscopes for the horoscope for Gemini’. Your invocation name is the primary way that users trigger your ‘agent’, so it’s important to pick a good one that’s easy to pronounce, that’s recognisable to Google and Amazon (you can test this), and that adheres to the policies set out by Google and Amazon. 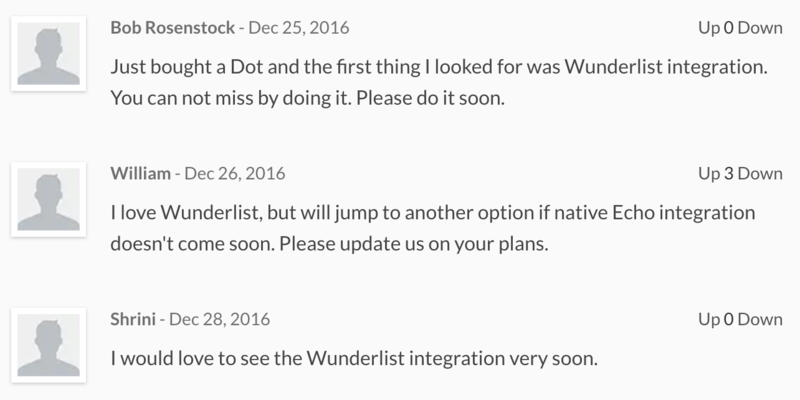 Take a look at this support request from users of Wunderlist, the popular to-do app. Its users are clearly itching for Wunderlist integration with their favourite Christmas gift, the Amazon Echo, and are demanding to be an active part of this digital journey. Aviva – presumably with the help of its Innovation unit – has launched its Alexa Skills, which seems to be proving very successful for its brand, with a five-star rating to-date. Aiming to help customers get comfortable with confusing insurance jargon, Alexa is encouraging users to enable the skill by saying things like ‘Alexa, ask Aviva what is a no claims discount’. This is Aviva’s ‘first step into the world of Alexa’, says Aviva, ‘with more advanced skills to come’. Unlike Wunderlist, Aviva seems to be doing a good job of keeping its users closely involved in this first foray into the world of VUI. ‘We’re adding new features and functionality all the time and we’d love to hear your thoughts’, it says. Meanwhile our good friends over at Api.ai – a conversational user experience platform – have announced ‘Actions on Google’ allowing you to build rich, conversational experiences for Google Assistant users on Google Home and deploy them as conversation actions. 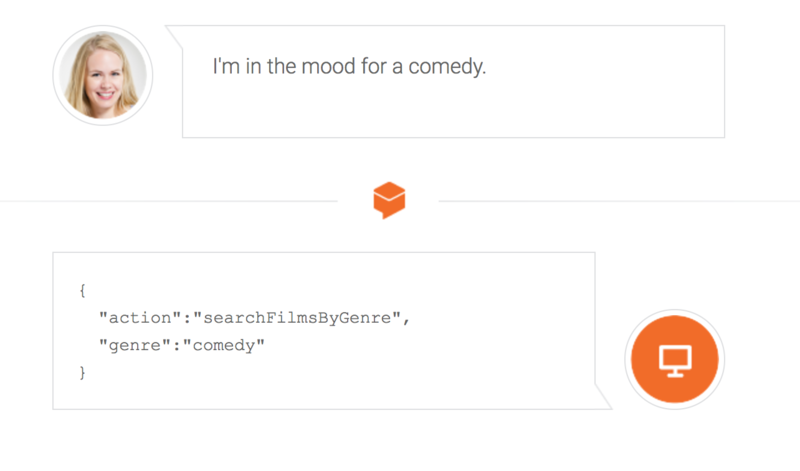 Tools like this make it possible for your service to receive and respond to user queries made using natural, human language – ‘I’m in the mood for comedy’, for example, rather than ‘search films for genre: comedy’. As with any digital product or service, you’ll need to ensure yours has the flexibility to be adapted as you learn more about VUI experiences and how to meet your strategic goals. Machine learning will be key here in enabling brands to continually improve services in real-time based on user interactions. The main challenge today is creating the intelligence within your online service to expose and integrate it into these new user interfaces . So tool up and start learning! Want to know more about the brand opportunity with VUI? Need to get your brand discovered on VUI devices? Talk to us! This article originally appeared on Figaro Digital.